Doesn't deserve the cold votes, it is a bargain, and a decent bike. Heat. Decent bike for the price; especially with Campag and half decent wheels. Gearing is for the fit among us, though; those new to cycling might find it hard going. Wheels have a 15 stone weight limit as well. Heat. Decent bike for the price; especially with Campag and half decent … Heat. Decent bike for the price; especially with Campag and half decent wheels.Gearing is for the fit among us, though; those new to cycling might find it hard going. Wheels have a 15 stone weight limit as well. My heart would say the Forme, my head, a little reluctantly, the BTwin. I would struggle with that gearing on the Forme, once the going got steep. Unless, of course, you're extremely fit, or not planning to cycle anywhere hilly; in that case the Forme would definitely be my choice. I'm having the same problem. Not that fit though have done 50+ miles few times last year on a Halford Careera Road bike. What's putting me off the Forme is the inability to test ride this and if this requires adjustment later. I think at the end I'll land up with the BTWN. 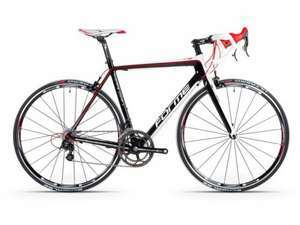 Though full price its components are same or better than the Forme except for the lighter carbon frame with the Forme . imo the Forme is the better value but as others have said the gearing with 53/39 and 11/25 is very racy and wouldn't suit you if you're unfit. I have the BTwin Mach 720 which has 52/36 and 11/28 cassette and that's good for me (https://www.decathlon.co.uk/mach-720-carbon-road-bike-105-id_8339670.html) and I'm pretty happy with it, sat on my turbo trainer at the moment. Slightly different (more aggressive) shape to the Ultra though.